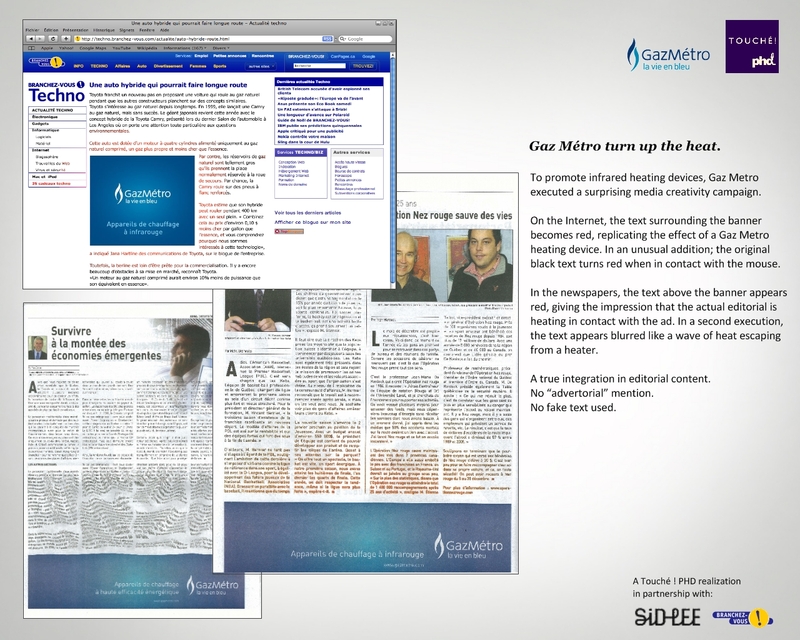 Here's an inventive online (and offline) creative implementation to promote heating device maker Gaz Metro. On the internet, the text surrounding Gaz Metro banners turns red when it the mouse is rolled over. Offline in newspaper, ads at the bottom of the page were integrated with editorial so that text, as it was online, is altered to, in one case, turn red and, in another, blur as if heat were rising from the banner. The agency, Touche PHD, tells us the altered text in the newspapers was part of the actual editorial rather than it being either a fake story or greeked. 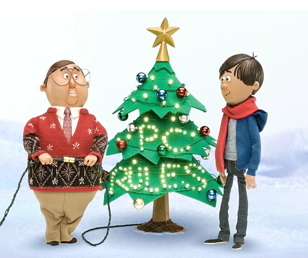 This Christmas card from Manchester-based AHD imaging in which an out of work computer-generated character, AHD168, finds itself homeless and destitute strikes a cord. With this one video, AHD has accomplished two things; it's wished everyone a Happy Christmas and it's looking for work, something a lot of companies are doing these days. So come on, help out an unemployed animation (company).